WASHINGTON The U.S. economy added 175,000 jobs in May, a gain that shows employers are hiring at a still-modest but steady pace. 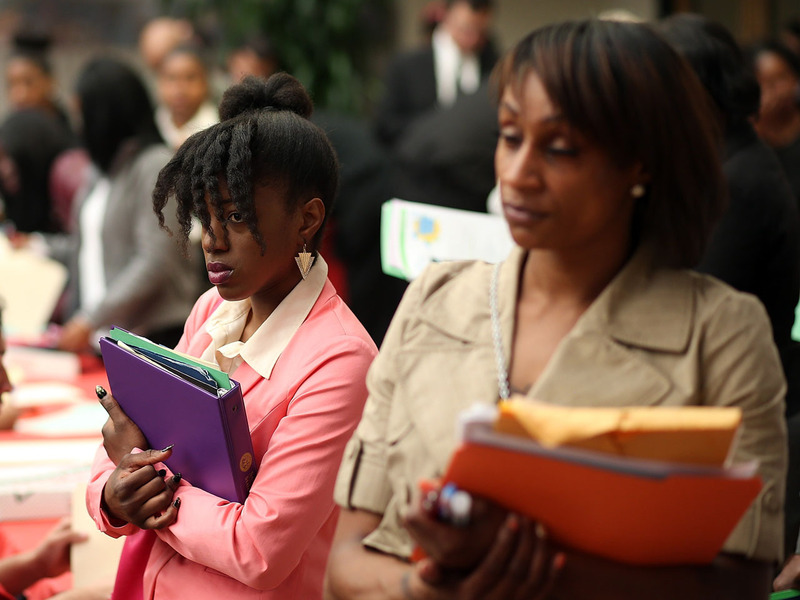 The Labor Department said Friday that the unemployment rate rose to 7.6 percent from 7.5 percent in April. The increase occurred because more people began looking for work, a healthy sign. About three-quarters found jobs. The rest added to the ranks of the unemployed. The government revised the job figures for the previous two months. April's gains were lowered to 149,000 from 165,000. March's figure was increased slightly to 142,000 from 138,000. The net loss was 12,000 jobs. Investors reacted positively in the first minutes after the report was released at 8:30 a.m. Eastern time. Stock index futures rose. Employers have added an average of 155,000 jobs in past three months, below the average of 237,000 created from November through February. The less-than-robust job growth might lead the Federal Reserve to maintain the pace of its monthly bond purchases. The Fed has said it will keep buying bonds at the same rate until the job market improves substantially. The purchases have helped drive down interest rates and boost stock prices. Stock markets have gyrated in the past two weeks on speculation that the Fed will slow its bond purchases later this year, a step that could increase interest rates and cause stock prices to fall. The economy "is creating jobs at a reasonable rate," Chris Williamson, chief economist with the financial research firm Markit, said in a note to clients. But he said the Fed will want to see lower unemployment before it considers scaling back its $85 billion-a-month bond-buying program. Job growth has been steady this year, despite higher taxes and federal spending cuts. Still, some signs in the report suggested that the spending cuts and weaker global growth are weighing on the job market. Manufacturers cut 8,000 jobs, and the federal government shed 14,000. Both were the third straight month of cuts for those industries. Average hourly wages ticked up just a penny in May, to $23.89. That was because much of the job growth was in lower-paying industries. But mild inflation is boosting American's purchasing power. Over the past 12 months, hourly wages have risen 2 percent. Inflation has increased just 1.1 percent in that time. The economy grew at a solid annual rate of 2.4 percent in the first three months of the year. Consumer spending rose at the fastest pace in more than two years. But economists worry that the steep government spending cuts and higher Social Security taxes might be slowing growth in the April-June quarter to an annual rate of 2 percent or less. Consumers appeared earlier this year to shrug off the tax increase. But in April, their income failed to grow, and they cut back on spending for the first time in nearly a year. A Social Security tax increase is costing a typical household that earns $50,000 about $1,000 this year. For a household with two high-earners, it's costing up to $4,500. Cuts in defense spending might have slowed factory output in some areas, according to a Fed report released this week. Factory activity shrank in May for the first time since November, and manufacturers barely added jobs, according to a survey by the Institute for Supply Management. A separate ISM survey found that service companies grew at a faster pace last month but added few jobs. Service firms have been the main source of job growth in recent months. Some positive signs of the economy's resilience have emerged. Service companies reported an increase in new orders, the ISM found. That suggests that businesses could expand further in coming months. And steady gains in home sales and construction are providing support for the economy even as manufacturing weakens. Editor's note: This Associated Press article was posted minutes after the Labor Department released the May employment report. It has since been replaced by a staff-written report. You can find the latest report and reader comments here.